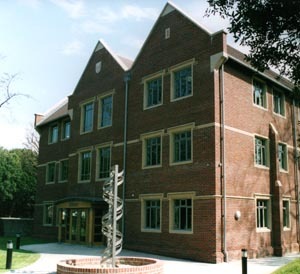 The new Science Centre at Eastbourne College, houses teaching accommodation for Chemistry, Physics and Biology, arranged on three floors. The existing buildings of note are constructed in red brick with stone features and clay tiles roofs. The design of the new Science Centre echoes this pallet of materials. 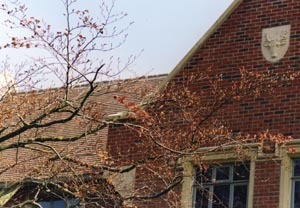 The architect's choice of roof covering was therefore simple - clay tiles. 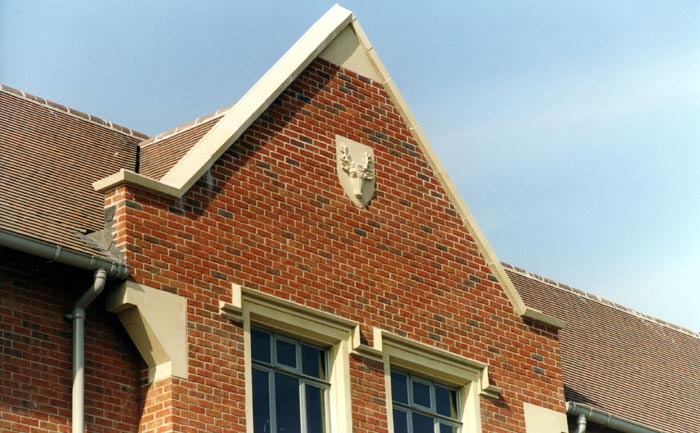 Both the College and the Borough Council wanted a traditional design to acknowledge and blend with adjacent buildings, to provide a sense of unity within the campus. The new Science Centre has a large footprint and to avoid an overbearing, unbroken expanse of roof, the design set out to break up the mass, introducing a number of single and double gables. The roof itself is double pitched, creating an area of flat roof in the centre, unseen from ground level and from adjoining buildings.